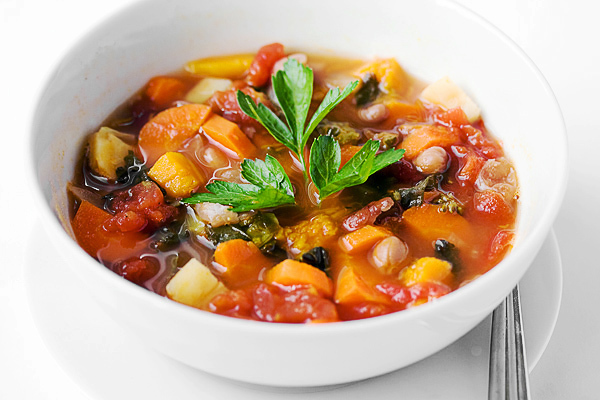 A hearty and healthy Fall Vegetable Soup, featuring Fall vegetables like butternut squash and carrots. Quick and easy, too! Isn’t this a pretty soup? 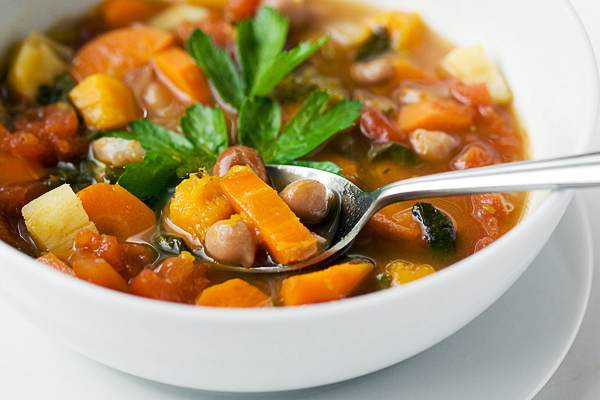 And not only that, this Fall Vegetable Soup is good for you, too. And did I mention tasty? 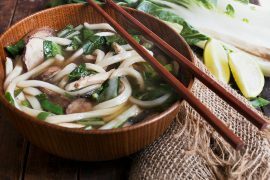 Yes, this soup is a triple threat! I love this soup because it’s good food and I just feel good eating it. I love the hint of allspice, which is perfect for Fall. I love that I can make it anytime with whatever odds and ends of vegetables happen to be in my fridge. I think you’ll love it, too, so I wanted to share it. 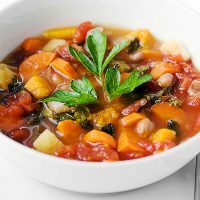 This is a wonderful Fall soup that you can adapt to what vegetables you happen to have handy, so this soup is a great "fridge cleaner". 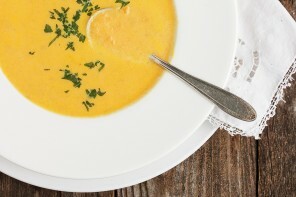 I'd really recommend the butternut squash though, as it's lovely in this soup. Be sure to taste and add additional seasoning at the end, if necessary. Heat oil in a large soup pot over medium-high heat. Add the carrots and onion and cook until they begin to soften, stirring often, about 5 minutes. Add in the garlic and cook stirring for 1 minute. Add the squash, allspice, chilies, and 1 tsp. salt and stir well to combine. Add the broth, tomatoes and their juice, and thyme. Bring the soup to a boil and then reduce the heat to medium and cover the pot. Allow to simmer for 10 minutes. Add the kale and the chickpeas (or beanand cook, uncovered, until the vegetables are tender and the kale has wilted, about 10 minutes. Discard the fresh thyme. Taste and season with more salt and pepper, if necessary. 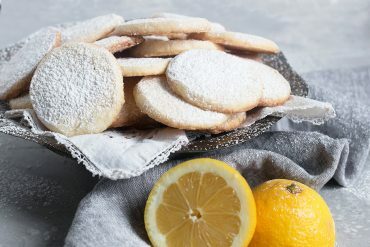 Garnish with shaved Parmesan or Pecorino cheese, if desired. 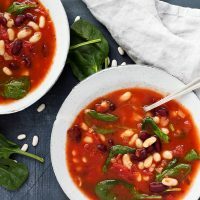 This easy bean soup starts with canned beans and tomatoes, for a quick, delicious, hearty and healthy soup. 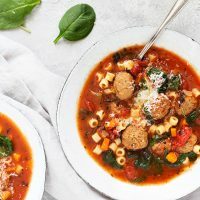 This Easy Italian Meatball Soup is delicious, hearty enough for dinner and vegetable rich. Made easy starting with store-bought fully cooked meatballs. 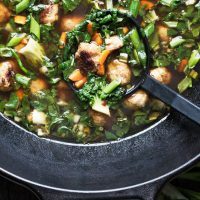 This Sesame Ginger Pork Meatball Soup with Bok Choy has the most delicious pork meatballs, combined with a delicious broth and lots of bok choy goodness. Made this tonight and it was absolutely delicious!! Followed the recipe to a T. Will definitely add this to my soup rotation this winter. Yum!! Wow! Jennifer, this soup is awesome! I have made it twice in the last week and even took it to someone who needed a meal and they loved it! So glad you enjoyed it, Kathy. Don’t you love the bit of allspice in it? 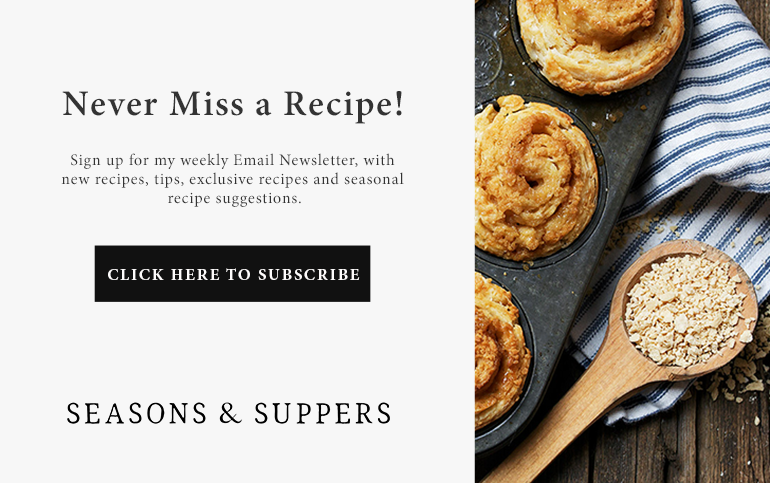 Perfect Fall soup! 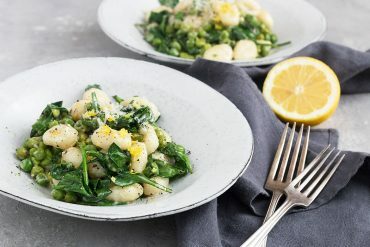 Found this on Pinterest and made it for dinner tonight (it’s Fall here in Australia) and it was delicious! Thank you! Thanks for letting me know, Maggie. Glad you enjoyed it. Cauliflower, butter squash, celery, baby carrots, white onion,garlic and finally 1 can of peach cream corn. The soup came out tatsting sweet :(. Help, what did I do wrong. was it the corn?? Hi Tony, yes, I’d say the cream corn was the culprit. That stuff is surprisingly sweet! I’d just stick with the usual vegetables (even if you have just a few varieties around, just use lots of them!). If you prefer your soup a little thicker/creamier, try pureeing a bit of it and adding it back in to the soup (even a few presses with a potato masher will work) and/or, just stir in a bit of cream or milk right near the end. Hope that helps. Don’t despair. 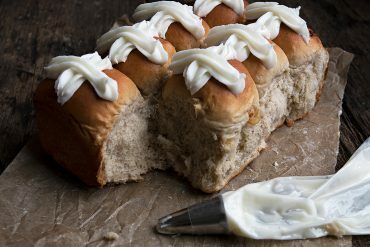 Cooking is a lifelong learning experience and trials and errors. My niece just made this at her fall/housewarming party (she used vegetarian bouillon cubes)…it tastes as delicious as it looks!!!!! The flavors and textures w/ the veggies and beans was incredible. Can’t wait to make it!!! So glad to hear it was a hit. One of my favourites, especially this time of year. Thanks for letting me know! I threw in a chopped parsnip into my soup, Carie that wasn’t in the original recipe. I didn’t include it in the actual recipe as the soup itself is really made for throwing extra stuff into and the list of possibilities is endless. 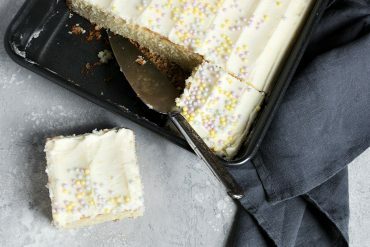 The picture caption mentions parsnips, which I love, but I don’t see mention of them in the recipe? 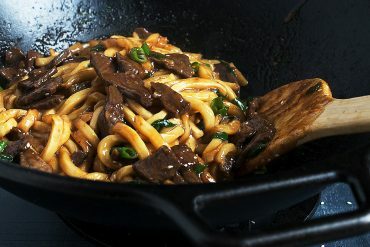 Not that it would need them as is it looks wonderful and quick, but would add another lovely complexity! Thank you, Helene. Welcome (back?) to Ontario! I enjoyed reading your adventure on your blog. I have just discovered your blog. I just moved to Ontario from BC. What a great blog. Love the context. I like cooking with the seasons. This soup sounds perfect right now. Thanks Joudie and thanks for leaving the link to your blog as well. I’m enjoying reading it! Oh yes! This soup really does look good. I can just imagine what the taste is like. Looks DIVINE! Just BEAUTIFUL for this season! Thanks so much, Betty and Mary. 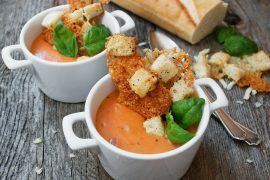 That is one BEAUTIFUL looking soup… and it sounds delicious! Great pictures! This has been bookmarked!